If you want a 30-day workout routine that’s going to give you bigger and stronger shoulders, then you want to read this article. In many ways, the shoulders are the calves of the upper body. They’re small, stubborn muscles that, for most of us, seem to refuse to grow no matter what we do. High reps, high volume. Low reps, low volume. These exercises. Those exercises. All for naught. I think we can both agree that I didn’t exactly have genetics on my side. Not too bad at first blush, but consider this: I had been training consistently for nearly 8 years when this picture was taken. As you can imagine, I wasn’t too thrilled. I had made progress, of course, but a) didn’t have the type of physique I expected from that much work, and b) look at how small my shoulders were in comparison to my chest and biceps. Well, soon after I took that last picture, I decided to educate myself in the ways of muscle building, and as a result, I made quite a few changes to how I ate and trained. That’s where I’m at now, about 3 years after the last picture. It shouldn’t have taken a decade to get here (just about anyone can build a body like this in ~5 years), but hey, I’m not complaining. Now, while I’ve dramatically improved every aspect of my physique, let’s pay special attention to my shoulders. They’re still a work in progress, but as you can see, they’ve come a long way from their humble beginnings. At least they don’t get crowded out by my arms and pecs anymore. 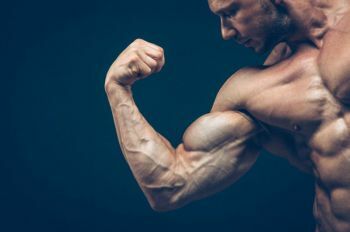 Well, in this article, I want to teach you how I did it, and how you can use this knowledge to make your shoulders bigger and stronger in the next 30 days. 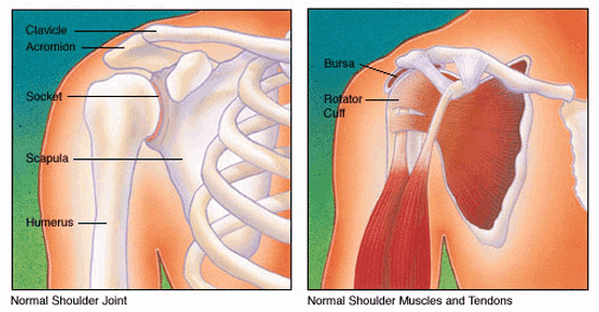 Let’s start with a brief discussion of shoulder anatomy. 1. Do a lot of heavy lifting in your shoulder workouts. 2. Focus on the shoulder exercises that safely allow for progressive overload. Rest 3 minutes in between your 4-to-6-rep sets and 2 minutes in between your 8-to-10-rep sets. You don’t have to push to absolute muscle failure every set, but you need to come close. 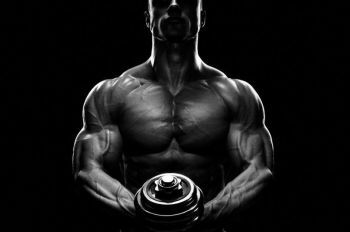 What’s your take on getting bigger shoulders? Have anything else to share? Let me know in the comments below! There are also smaller muscles that hold the ball-shaped head of the arm bone in place in the socket of the shoulder blade, allowing it to spin and roll. Now, you’re here because you want to increase the strength and size of your deltoids. That isn’t to say that you shouldn’t care about your rotator cuff muscles, but the deltoids are the big, visible ones that you emphasize in your training. 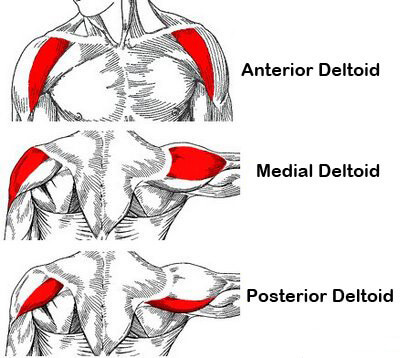 Now, if you want to build big shoulders, you must work hard to develop each of the three deltoids. Most people focus just on the anterior (front) deltoid, and this makes for rather underwhelming shoulders that lack the round, full look that we really want. 1. Doing too much of the wrong exercises. If you do the majority of your shoulder training with machines and isolation exercises, you’re going to struggle to build the shoulders you really want. 2. Doing too much high-rep training. If your focus in your shoulder workouts is getting a big pump (as opposed to getting really strong), then that’s part of the problem, too. These mistakes apply to every major muscle group in your body, too–not just the shoulders. If you want to maximize muscle growth in any area of your body, you want to focus on heavy, compound weightlifting. In the case of shoulder training, that means you want to focus on heavy barbell and dumbbell pressing–that’s your bread and butter–and include supplementary work for the side and rear delts. If only you had his #dedication. All 2 grams of it that he injects every week. That probably sounds cynical, but it’s true. Steroid use is rampant in this space and it changes everything. With the right drugs, you can sit in the gym for a few hours every day doing set after set, exercise after exercise, and your muscles will just get bigger and bigger. You’ve probably also noticed that (open or obvious) steroid users have abnormally large shoulders, traps, and pecs (and upper chests in particular). 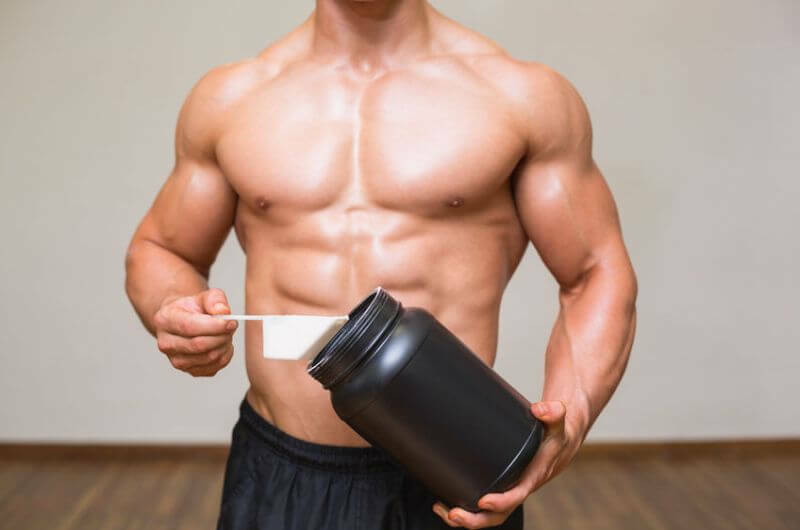 This is because these areas of the body are quite dense in androgen receptors, which are proteins in cells that respond to various hormones (including anabolic hormones like testosterone). Thus, when large amounts of anabolic steroids are introduced into the body, the shoulders, traps, and pecs grow very quickly and can reach freaky levels of size. You can build a great shoulders drug-free with a bit of know-how, hard work, and patience. By this I mean working primarily with weights in the range of 75 to 85% of your one-rep max (8 to 10 rep range on the high end and 4 to 6 reps on the low). I mentioned earlier that one of the big lessons I’ve learned is the importance of heavy, compound weightlifting. If you stop getting stronger, you’ll eventually stop getting bigger. That is, your primary goal as a natural weightlifter is getting stronger (adding weight to the bar) over time. That’s what really drives hypertrophy (muscle growth) because it’s the best way to progressively overload your muscles. 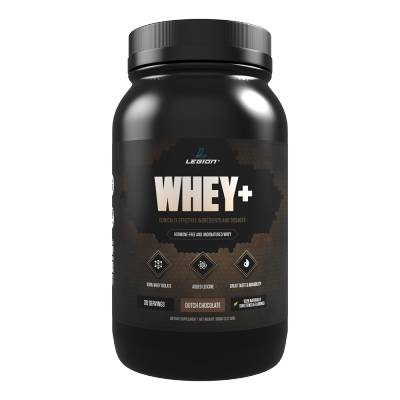 This refers to progressively increasing tension levels in the muscle over time, and out of the several ways you can stimulate muscle growth, it’s the grand poobah. Another element of your shoulder workouts that you have to get right is weekly volume (the total amount of reps you do each week). If you do too little, you’ll gain less muscle than you should or could. If you do too much, you’ll fall behind in recovery and struggle with issues related to overtraining. Finding the “sweet spot” for volume is easier said than done, though, because the heavier you train, the shorter your workouts have to be (more recovery is needed). When you’re primarily training with heavy weights, optimal volume seems to be about 60 to 70 reps performed every 5 to 7 days. This applies to every major muscle group in the body, by the way, not just the shoulders. You probably know that exercise alone isn’t enough to gain muscle and lose fat. If you know how to manage your diet properly,building muscle and burning fat is simple and straightforward. That’s why it’s not enough to just give you a 30-day workout routine. We need to set your diet up properly as well. I break it all down in my in-depth guide to meal planning, which I highly recommend you read and implement in conjunction with the workouts. If you don’t, you simply won’t get as much out of them as you should. One of the biggest barriers to getting healthy and fit is information overload. If you’ve Googled around on just about anything related to losing fat, gaining muscle, and getting strong, you know what I mean. Article after article, video after video, and guru after guru, all saying different things, all claiming to have the One True Way to getting the body you really want. Out of all the shoulder exercises you could do, a handful stand head and shoulders above the rest. As you’ll soon see, if you make it your goal to just progress on these exercises, you’ll have no trouble adding size to your shoulders. You know by now that I’m going to ask you to do a lot of pressing. I’m going to have you do both standing and seated pressing. The reason for this is both have pros and cons. For their part, standing presses are significantly harder than seated, and when it comes to weightlifting, harder usually means better. EMG research supports this, showing that showing that the standing presses (both dumbbell and barbell) activated the shoulder muscles slightly more than their seated counterparts. Many well-respected trainers and strength coaches also say the standing barbell press is the all-around superior choice, and I don’t necessarily disagree. In terms of whole-body training, there’s no question that the standing press is the way to go. You won’t be able to lift as much weight as when seated. You need more technical skill to do it safely with heavy weights. You see, the standing press places a lot more stress on the lower back and core than the seated press, which means you simply won’t be able to put as much weight on the bar. It also means that there are more ways to get hurt if your form breaks down. The seated press, on the other hand, has the benefit of less lower back and core involvement, which means the shoulders are more directly overloaded. That’s why I like to alternate between standing and seated pressing. The dumbbell front raise is a good exercise for isolating the anterior deltoids. This exercise targets the medial (side) deltoids, and is vital for getting the roundness and “pop” that we want. As your shoulders get stronger, you’ll find it harder to maintain proper form on your side raises. The posterior (rear) deltoid is the smallest and weakest of the shoulder muscles, but it contributes significantly to the overall look (especially from the side and back). The Cuban Press is a little-known exercise that’s great for training the rear delts and rotator cuff muscles. Strengthening these muscles does wonders for stabilizing your shoulders and preventing dysfunction or injury in your pressing. The dip is one of the best bodyweight exercises you can do for your upper body. 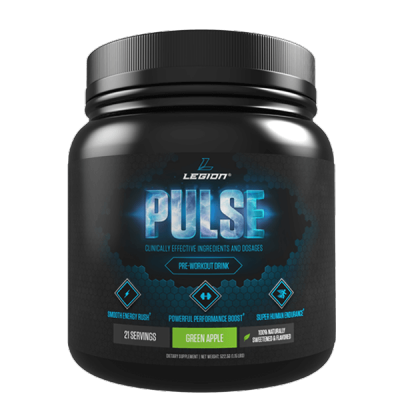 It trains your chest, shoulders, and triceps, and can be loaded with a dip belt to increase the difficulty. That’s it for the exercises you’ll be doing. Remember: If you don’t get stronger, you won’t get bigger. But if you do gain strength on these exercises and eat enough food to grow, your shoulders will respond. Take measurements, do four weeks of those workouts, and measure again. I promise that your shoulders will be bigger. The subject of whether to train to failure (the point at which you can no longer keep the weight moving and have to end the set) or not is a contentious one. Experts disagree left and right, legit-sounding scientific arguments can be made for a variety of positions, and many people report success with many different approaches. We should be training to failure, but not so frequently that we risk injury or overtrain. Exactly how much that amounts to will vary from person to person. Personally, I never train to failure for more than 2 to 3 sets per workout, and never on the squat, deadlift, bench press, or standing overhead press as this can be dangerous. Furthermore, I don’t recommend you train to failure when you’re using very heavy loads (1 to 4 rep range). Instead, the majority of your sets should be taken to a rep or two preceding failure (the last rep or two that you can perform without assistance). If you’re new to weightlifting, finding this point will be tricky, but as you get used to your body and your lifts, you’ll get a feel for it. For instance, if you press 6 reps on your first set, you should add 5 pounds to each side of the bar for your next set and work with that weight until you can press it for 6 reps, and so forth. 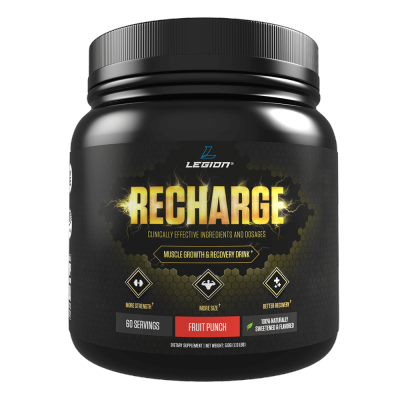 For the purpose of this article, let’s just quickly review the supplements that are going to help you get the most out of your shoulder (and other) workouts. As you can see, building bigger shoulders is pretty straightforward. You hit it them a lot of heavy lifting. You do the right exercises. 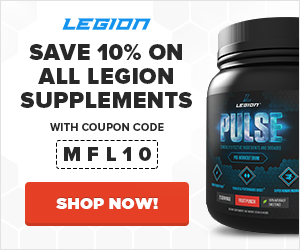 You eat enough food, sleep enough, and, if you want a boost, take the right supplements. And your body takes care of the rest.